These boards are actually from back when I was in school. I believe they were for a class and not for any animation or film I had planned. I wanted to show them, though, because I really like how I experimented with the look, finding a way to create a pretty specific tone/atmosphere even if the boards are a little scribbly in places. 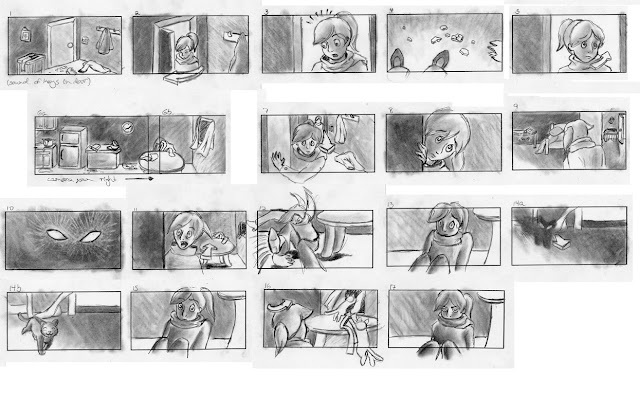 You can find my Storyboards section by clicking here, or by clicking the tab at the top.